I do, though. It's so charming! 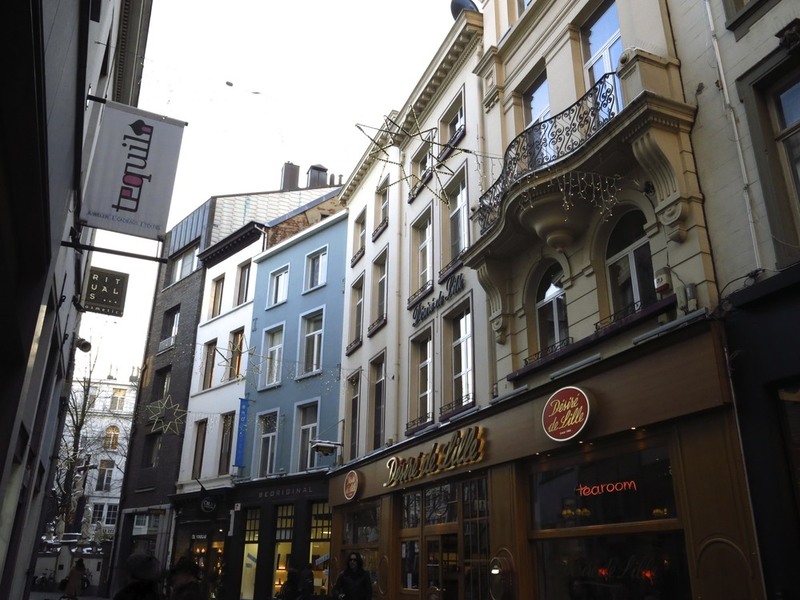 Its teeny, curving streets, old buildings, and crazy bike riding culture - I could eat it up! 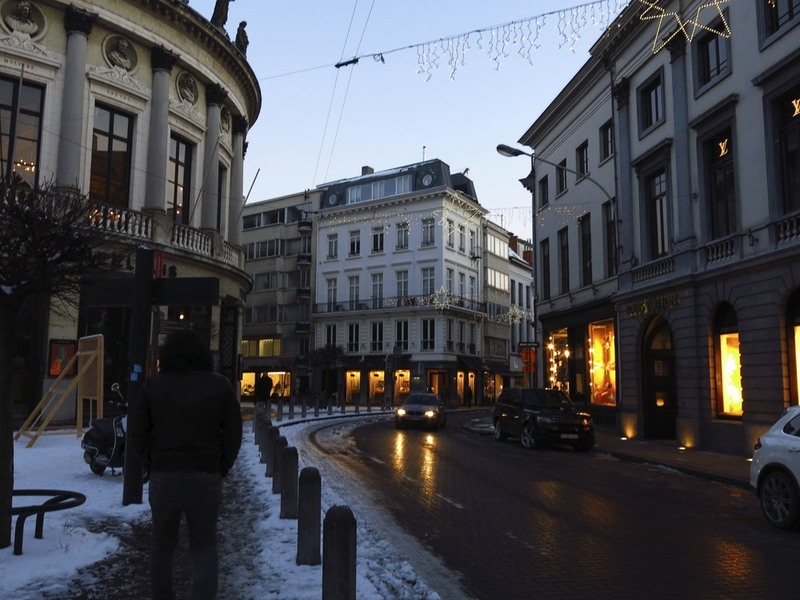 We had a rare day off in Antwerp, so we had a chance to relax and take in the city. Scratch that - I spent the morning in a Belgian laundromat trying to figure out how to read instructions written exclusively in Dutch. Luckily, a lot of Dutch words are similar to English words with extra letters in them minus some of the normal letters ... so in that way, they are not like English words at all and I'm just a genius who figured out how to wassen and drogen our clothes. I walked out of that laundromat like I'd just won an Oscar... proud, thankful, and ready for champagne. 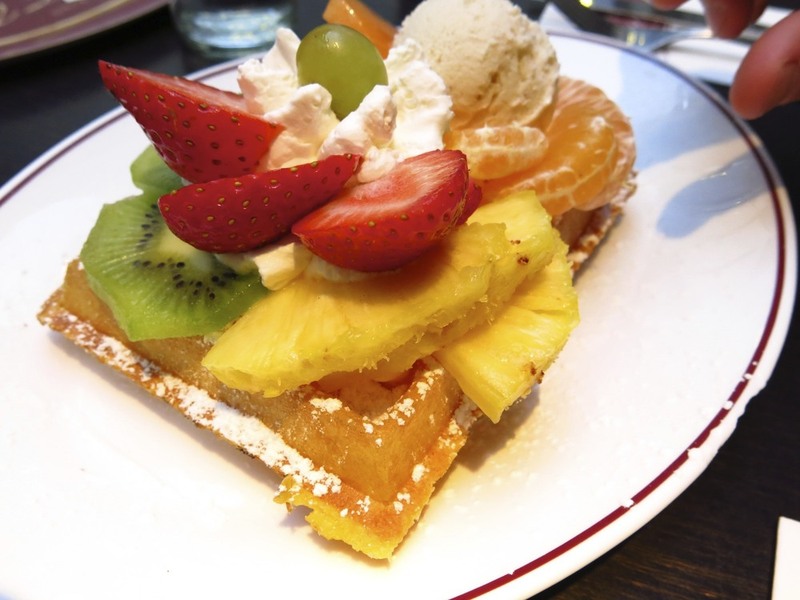 Instead of Champagne, I settled for Belgian waffles, a walk to the diamond district, and almost getting frostbite. I suppose this does not need to be said - but Belgium in January will freeze your tootsies right off. Even the promise of diamonds couldn't keep our mood up. We finally succumbed to the weather, stumbled into DelRey & got Rp a bag of belgian chocolate. I don't care for the stuff, but I will admit that this was pretty tasty. If they added salt to some of the pieces I may have been a full blown fan. You almost had me, Belgian chocolate... almost. Sooooo, right. We finished our Antwerp adventure with a belgian dinner of moules frites & Trappist beer. 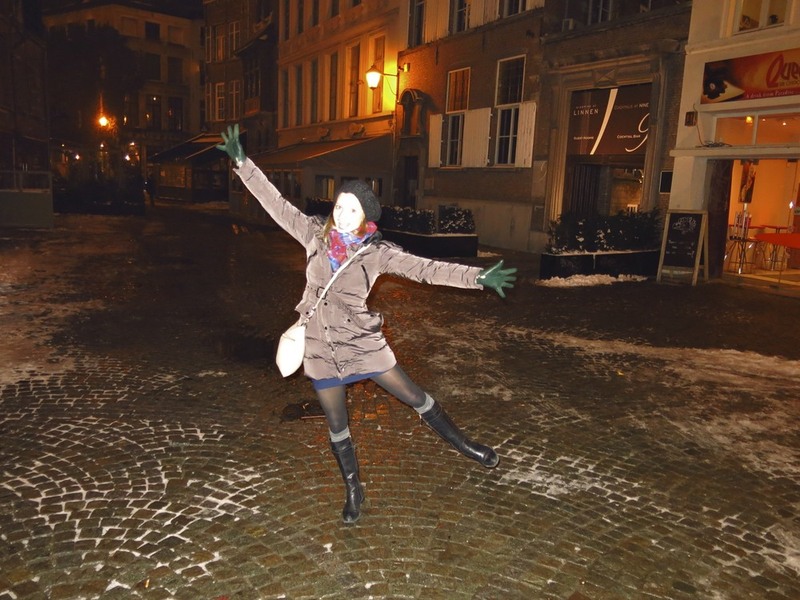 The biggest downside was that when it snowed we couldn't tell what was the street and what was the sidewalk... so we ended up driving our rental car on the sidewalk one night. 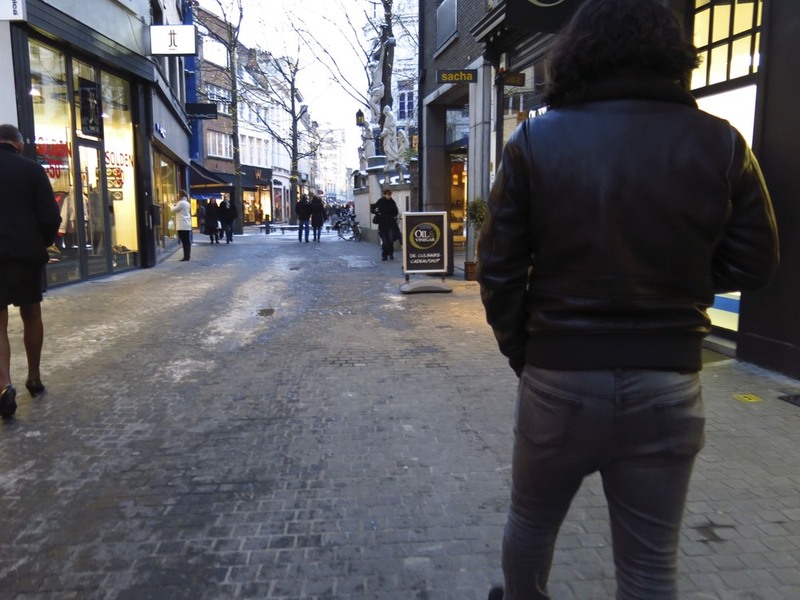 And not just an "oh, no, we sort of drove on the sidewalk a little" - a "we just drove a mile down a pedestrian walk way and now we can't go any further because there are concrete dividers... and we now have to reverse down this small European street... at night... in the snow." Oops. I'd say that was more our fault than the city's but I'd really rather not take the blame on this one, k guys? enjoy below: oldness, cuteness, bikes on bikes on bikes, deliciousness, and my reaction to Trappist beer.